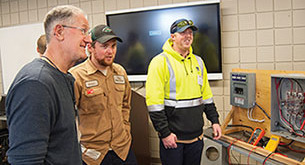 The Basic Metering Pre-Conference uses a combination of interactive classroom and hands-on training to present and reinforce the educational experience. The pre-conference will provide a good foundation for those interested in continuing on with the Basic/Intermediate class. Registration fee includes tuition, materials, refreshment breaks and a certificate of achievement. Note: Wednesday lunch provided if registered for both the Pre-Conference and the Meter School. For a map of hotels in Marshall, click HERE. The AmericInn and Ramada offer special pricing for participants. Just ask for MMUA's reduced rate when making your reservations.